Later topic: Arab press serial number ID? I’m going to make a 5hr drive to go inspect this machine and a 5hr return trip home again. I’m hoping I can get some information on the machine before I go. It’s a VICOBOLD but I don’t know which model, if it can be identified? A manual or parts list would be awesome. the *Vicobold* comes into the class of *Parallel Approach* machines,, generally regarded as superior to *Clamshell* >well documented< on B.P. etc. The main advantage being that once a working method of packing is established, variations in the stock being used are, comparatively simple to re configure, in Your Shot of the transverse bar immediately between the stacks of rollers can be seen the adjustment for the impression and throw off for a missed sheet, i.e. pull out plunger coupled with large wrench/spanner adjustment for tweeking up and down for different stock, weight & thickness,s. When inspecting try to ascertain IF there is (and should be) a fair amount of Trucks for the 3/4 *Forme* rollers and (hopefully) a full compliment of the the Bearing Blocks for the Inking Train, - possibly 8 trucks and as many bearing blocks, if not more.! 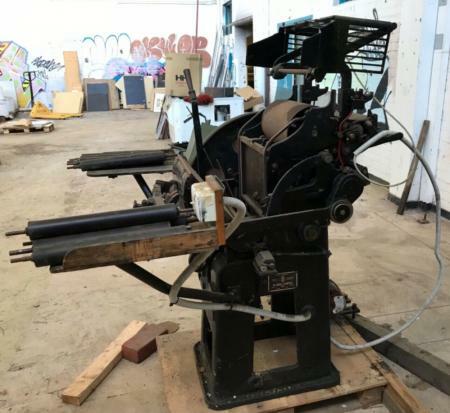 Again and generally the Vicobold, the Kobold & the Victoria Art Platen (European?) often quoted as second only to the Colts Armory (U.S.) Press. 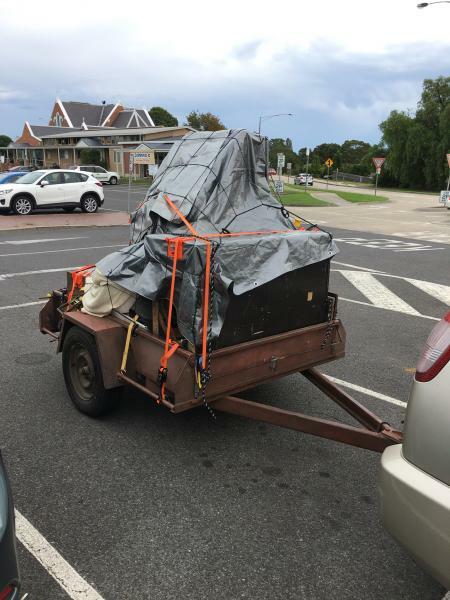 Vicobold usually quoted as around 500 Kilos by weight and with very little in the way of transportation, Eyes or Ring bolts, if when it comes to it, make sure Your Rigger/Mover knows the way around. Apologies if the above is of no use or irrelevant.! Good Luck. - Mick U.K. 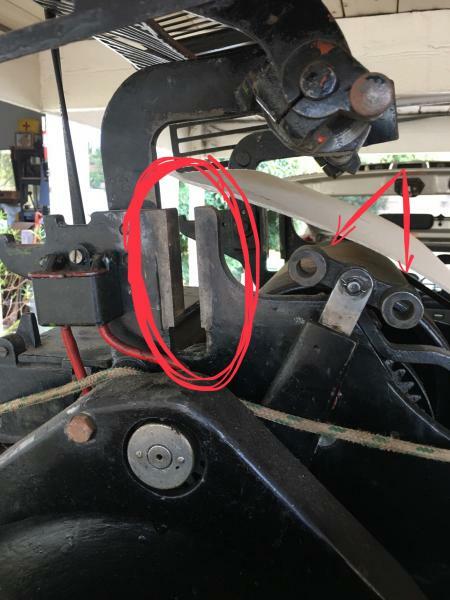 Check if wear in main joint/ bearing that pulls pushes platen….. Thanks for the replies guys. I don’t know much about printing yet and this will,possibly be my first machine. One of the things that draw me to this machine is the fact that you can fade two or more colours to the impression due to the ink drum vs ink disc. I’m afraid i’ll Be my own rigger and will have to try and identify any accessories myself. 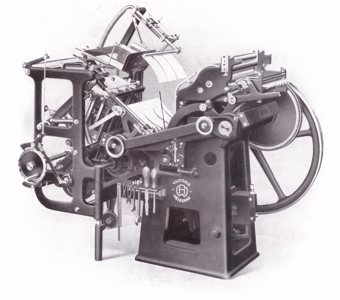 It is a deceased estate of an old printer who became a collector. Nobody involved seems to know anything much about the industry. 32 tons of printshop equipment went for scrap metal and this one was scheduled to go also when I heard about it. Looking for documentation, this will either be a German Victoria, with “RW Heidenau” mark cast in base, or an English Victoria from Pershke (though in non-war years Pershke did import German Vics). After the war the German maker Rockstroh-Werke was folded into the Poligraf conglomerate. 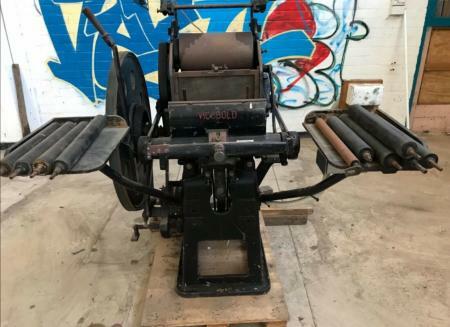 This press looks like it was originally sold with auto-feeder, the bolt-on rather than the roll-away style, and the feed tables added later. Here’s an image of the 1933 model of the auto-feed Victoria Kobold, from a Pershke brochure. (9.5” x 13.375” inside chase.) Pershke was importing this model from Germany to the UK then. I think the “Vicobold” on the platen you are considering would indicate the British-made version. There were variations in design between German and British Vics and also across decades of manufacture. 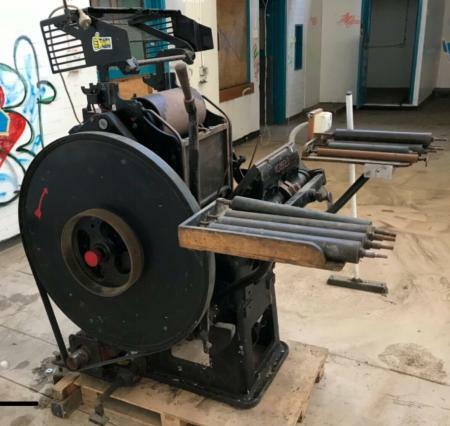 The roller that sit above the ink drum sit inside some sort of bearing block that slides down into a slot in the main casting. These are missing if anyone can shed some light on them so I can make some replacements. You can see them in the catalog cut above. I have paid for the press and will load it tomorrow. The car is already loaded, full of gear and sitting low on the springs so i’m Hoping to make it home as it’s 5hrs down the highway. Occasionally the Seller has the fore-though to place such, in a little bag/container and hang it on the machine for safe keeping, ? If You have to resort to Re-manufacture don`t forget to include full compliment of *Bearing blocks & Trucks., at the same time. ! It’s home but not free yet. I’ve marked where the sliding bearing blocks go in the circle. I’m also missing the trucks. I got a bunch of rollers that may or may not belong to the machine. As You appear to be located in the Southern hemisphere, Oz perhaps, suggest that You contact THE *Moana Rd. Press* out of N.Z. They are a wealth of info, and probably parts etc. The rest all came from two different people. Dsel74, Well done for Your preservation efforts, sad that You were too late on the crime scene. ! Tomorrow Sunday 24/03, will be on parade in our Museum Print shop as a volunteer, will access the Print shop archives, and see if there is any material concerning the Vicobold, if so, as volunteers, we can always photocopy relevant items. 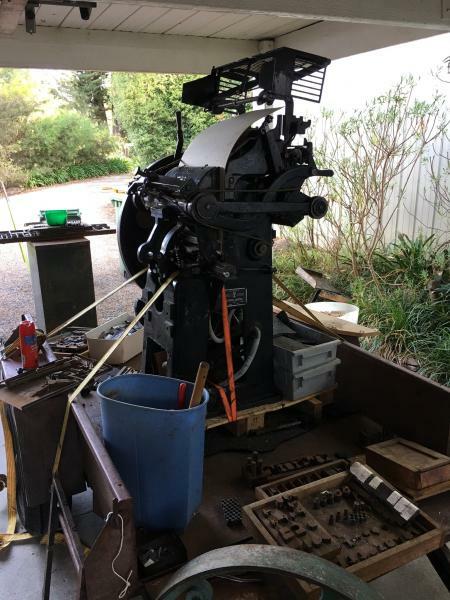 + amongst many other letterpress machines there is a Working *Auto Vic* in essence, mechanically, fairly close the the Vicobold, and I will take some shots and measurements of the relevant parts (although smaller) may help,! With more than a little help, will attempt to post on open forum. And on a more personal note !! On behalf of the H. & S. in your country one is a little concerned about the ABSENCE of *over-run* brakes on THAT trailer. ?? Regards and Good Luck. Mick. U.K.
Mick, THAT ALL SOUNDS great! I’m in Melbourne Australia by the way. My poor little trailer and 44 cyclinder car had a bit of a rough time. I wasn’t expecting to bring so much back.